KEN YUSZKUS/Staff photo. 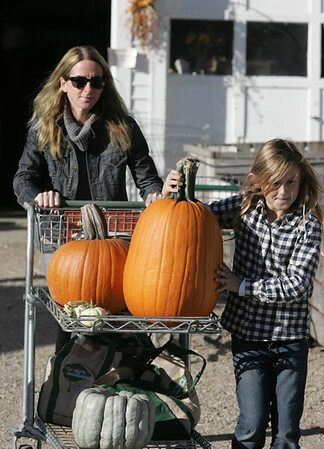 Olivia Romans, 9, helps her mother Jen by stabilizing the large pumpkin in the cart on the way to their vehicle at the Tendercrop Farm at Canaan in Wenham. Lucy, 6, not shown, also helped. 10/19/15.